The hair is probably one of the most maintained parts of the body especially for women. When someone has a very good crowning glory, she has the tendency to become attractive, in fact, if she is not attractive enough physically, her crowning glory will cover up something. 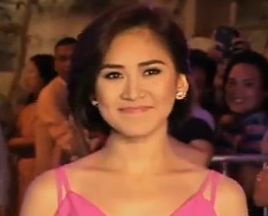 In the case of Sarah Geronimo, who is known as someone with a very wholesome personality, having a short hair is somewhat an issue to tackle and this is part of her being famous. It all became visible and apparent to all in a shampoo commercial. The singer – actress Sarah Geronimo denied the speculations that the reason why she cut her hair short is because there was a disagreement between her and her parents. Sarah said that she has been a Sunsilk lady for 5 years and she is proud being one because of the support of the company. The issue has risen up to the point that there were so many questions asked for her to answer that will clarify all the issues. One of them is whether her father is angry with Guidicelli or not but Sarah did not give an answer. Aside from Guidicille, there are other personalities wherein Geronimo was linked like Gerald Anderson and Rayver Cruz. Many believe that it was the disapproval of her parents that led to discontinuity. One of the issues that she can hardly bear is that the issue that the reason why she cut her hair short is that she is rebelling with her parents and she proved it wrong. We know Sarah as a talented singer and actress responsible for the hits like the cover of To Love You More, her original Forever’s Not Enough that became a hit and many more. Her shows and movies proved that she really has something to say and prove about her talents.